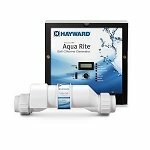 Hayward AquaRite Power Center for all Turbo Cells. Controller Only. We spent so much money on this system and it WILL NOT WORK! We called hayward and they could care less. They just wanted us to buy another one! This thing is a complete LEMON! Installed 5 weeks ago and still not working correctly. Techs keep replacing parts, first the circuit board was bad, then the transformer, now who knows. 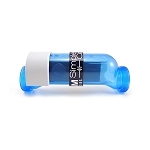 This particular Aqua Rite model seems to have serious quality issues. 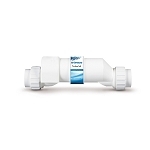 Replaces control module for Hayward/Goldline Aqua Rite, SwimPure, Mineral Springs, NatureSoft, SplashCLEAR, AquaPlus, LeverEdge Guardian, Blue Essence, H40 systems and more. 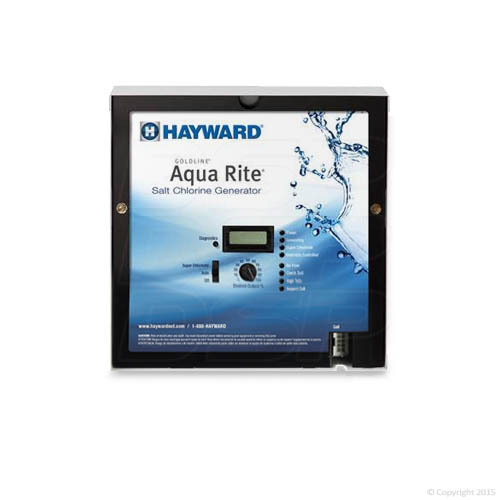 The Hayward Aqua Rite controls are a steel sheet-metal box with a hinged and latching door (similar to your circuit-breaker panel). It mounts on the wall (or nearby a post or support) by hanging the control box by a few keyholes on basic screws that have been secured in the wall. Inside of the Control Center door, there is a small LCD display screen (similar to a digital watch), which displays the average salinity reading, temperature, cell volts, cell current, chosen percentage chlorine output, instantaneous salinity, and different cell type settings. 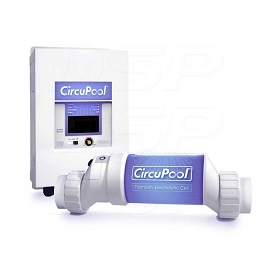 The controls have a dial that is used to raise and lower chlorine output, and a three-position switch to activate the system, deactivate the system, or activate the super chlorination mode. 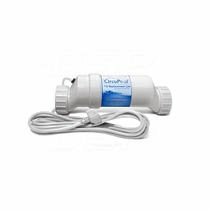 Note: The manufacturer does not include a power cord with the Hayward Aqua Rite. The wiring will need to be purchased from a local hardware supply.